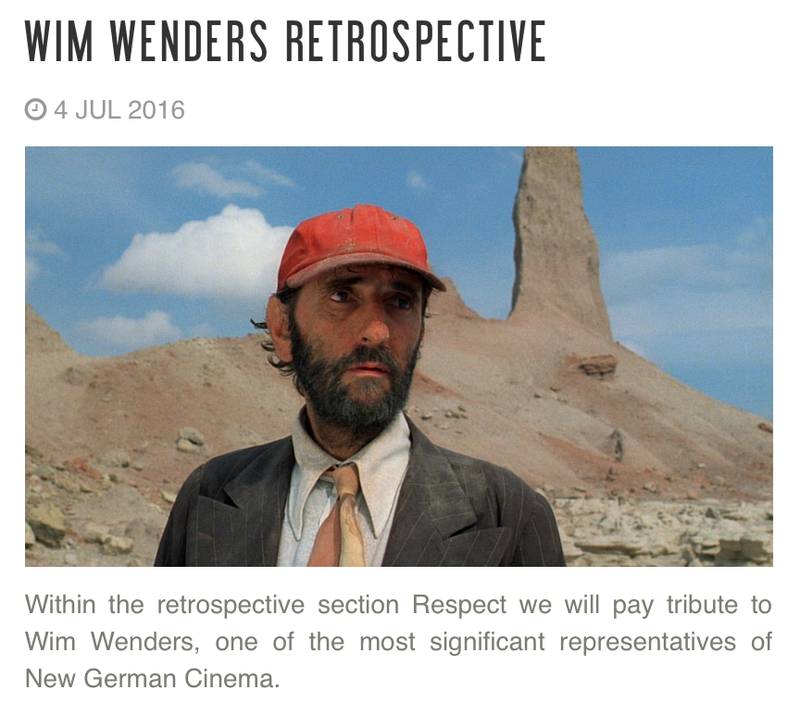 „Within the retrospective section Respect we will pay tribute to Wim Wenders, one of the most significant representatives of New German Cinema. Come and see the films which chart various features of his filmmaker’s personality. We will present a cross-section of his work – beginning with his early „purely German“ films (where you can also sense a strong presence of his fascination with the USA) going through festival darlings such as Wings of Desire, documentaries and ending with films pushing the boundaries of cinematic expression via employing new technologies (video, 3D).